Download our All Government Jobs Android app to get updates on your mobile. Site Engineer (Civil): Candidate should have BE/ B Tech in Civil Engineering (at least 65% marks in aggregate) from reputed AICTE Approved engineering college with at least 3 years of work experience in any of the infrastructure construction company and having experienced in road projects (NHAI/NHIDCL or hilly regions), multi-storied building structure like RCC Works, Steel Structures like truss. Candidate should be having knowledge of aluminum shuttering/ Kumkang shuttering system or advance shuttering systems of international standard. Candidate should have exposure to use of electrical & mechanical machinery with regards to safety systems. Candidate should be aware of civil engineering related software such as MS Project, Primavera, Autocad 2D & 3D etc. Site Engineer (Electrical): Candidate should have BE/ B Tech in Electrical Engineering (at least 65% marks in aggregate) from reputed AICTE Approved engineering college with at least 3 years of work experience in any of the infrastructure construction company with Electrical work experience in multi-storied building structure, high mast lighting system in the stadium project, 11/0.415 KV substation, Solar system, and cable laying work. Candidate should be well versed with the Relevant IS standards related to HT, LT and DG set. Candidate should be aware of engineering related software such as MS Project, Primavera, Autocad etc. Junior Engineer (Civil): Candidate should have Diploma in Civil Engineering from reputed AICTE Approved engineering college with at least 2 years of work experience in any of the infrastructure construction company and having experienced in multi-storied building structure like RCC Works, Steel Structures like a truss. Candidate should be having knowledge of aluminum shuttering/ Kumkang shuttering system or advance shuttering systems of international standard. Candidate should have exposure to use of electrical & mechanical machinery with regards to safety systems. Candidate should be aware of civil engineering related software such as MS Project, Primavera, Autocad 2D & 3D etc. 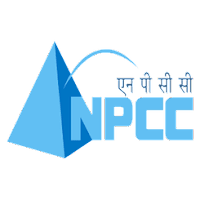 Eligible & Interested candidates can download the Notification & Application form on the Official website page at www.npcc.gov.in NPCC Recruitment 2018.